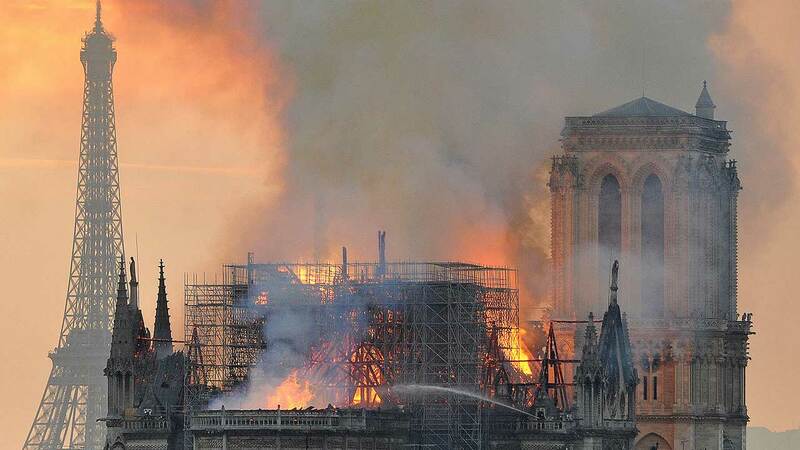 Notre Dame Fire: A reminder old churches are at risk. Christie Ileto has more on Action News at 11 p.m. on April 15, 2019. PHILADELPHIA (WPVI) -- Sitting in the basement of Christ Church in Old City there's a device. It acts like a gigantic sprinkler suppression system for the exterior of the almost 300-year-old building. When triggered, it looks like a water curtain. It has almost two dozen nozzles around the top, pumping tens of thousands of gallons on the building that includes a wooden steeple-- similar to the spire at Notre Dame Cathedral in Paris. "I'm sure it had everything imaginable, but these structures are vulnerable, very vulnerable," said Reverend Timothy Safford. Safford says the church has never had to use sprinkler system except for testing, particularly ahead of an upcoming renovation. "Buildings that are being renovated or under construction are extra dangerous for us," said Philadelphia Fire Commissioner Adam Thiel. The Notre Dame Cathedral was undergoing a facelift at the time. Thiel says that, coupled with flames can prove challenging. "When they're in the middle of changing it, you don't know where they were in the construction process, or if it was structurally sound," he said. Two towers of the church were saved in the blaze, but it's a far cry from the grandeur that once stood for centuries. 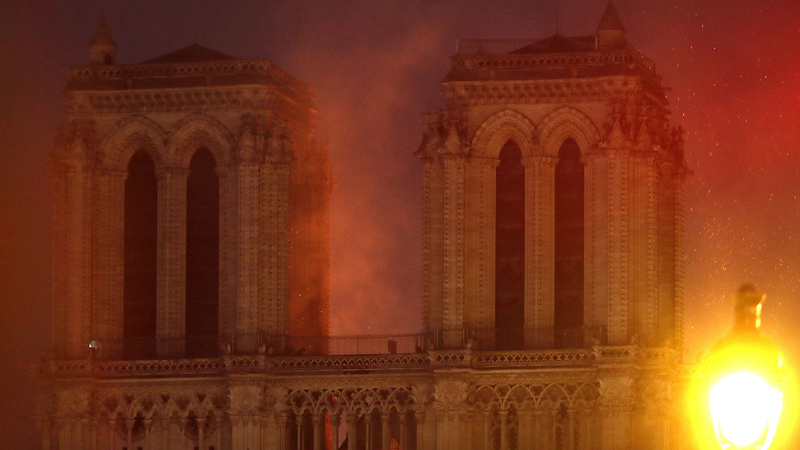 "The reality is this is a landmark that transcends culture, it's a beacon of human kind and to see it go up in flames is heart breaking," said Jonathan Grode, President of the Philadelphia Chapter of French American Chamber of Commerce. Heartbreak-- that the congregation of Christ Church is hoping to avoid with its sophisticated fire plan and fire proof storage basement that houses historical artifacts important to the church. "It's the best defense there is," said Safford. I pray it's enough because fire like we saw today is very devastating."